More woo! (Are you starting to miss the creationists yet?). 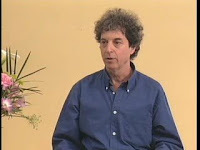 Richard Gordon is the inventor of the technique known as quantum touch. Yes, it is quantum; it is healing by touch; and it “offers you a dimension of healing that, until now, has not seemed possible,” according to Gordon. Indeed. Gordon promotes himself as an “impassioned promoter of Life-Force Science,” though the “science” inflection is a stylish grammatical ornament that should not be taken too seriously, and says anyone can learn his particular brand of healing touch “regardless of your age, culture, religion or belief system.” There is a report from an attendee at one of his meetings here. At the meeting Richard asserted that he could ‘change the molecular structure of water’ by placing a glass of water between his hands (essentially Masaru Emoto’s delusion). He was, however, unwilling to test whether the structure had actually changed – apparently there was only one machine sensitive enough to measure the change, and that one was too expensive to use. As Gordon says: “Only we can heal ourselves, just as only we can digest our own food.” But that’s sort of a silly thing to say. Gordon also promotes what he calls “amplified energy therapy” (listed by quackwatch), a form of vibrational medicine. Quantum Touch does not work, of course, but Gordon’s got anecdotes to cover up its lack of efficacy. According to Gordon “One nurse told me that a physician asked her to stop using Quantum-Touch post-surgically since he could no longer predict how much pain medication to give the patient.” The technique has also been endorsed by Norm Shealy, so there you go. Diagnosis: Seriously delusional rather than a charlatan, it seems. Of course, therapeutic touch with quantum thrown in had to gain some popularity at the fringes of the New Age movement, but Gordon’s overall impact is unclear.